Legal Immigrants For America (LIFA) recently participated in the Conservative Political Action Conference (CPAC) in National Harbor, Maryland, just across the Potomac River from Washington, DC. 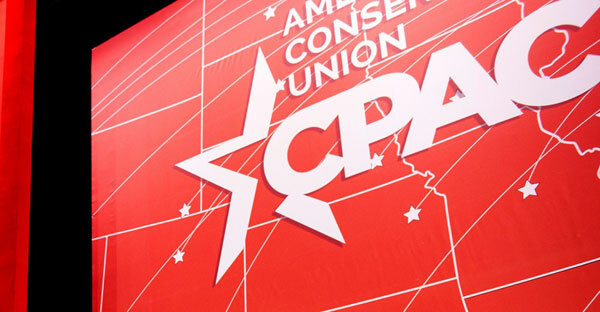 CPAC is the largest conservative political conference in the eastern United States, and is only rivaled by Freedom Fest in Las Vegas in the west, which LIFA also plans to attend. CPAC featured a wide variety of conservative speakers, including Republican presidential candidates, both past and present, members of Congress, well-known members of the conservative, non-mainstream media, and a host of activists from an extremely wide range of conservative political issues. LIFA distributed thousands of its promotional cards at CPAC, including its highly-regarded “Illegal Immigration Statistics Card.” This card, produced exclusively for LIFA, lists a large variety of different shocking statistics about the scourge of illegal immigration in the United States. This card can be yours for an online donation of any amount to LIFA today! LIFA also boldly entered the world of international immigration politics at CPAC as it met with members of the United Kingdom Independence Party (UKIP) who were in attendance there. UKIP is basically the Tea Party of the UK, and it supports “Brexit” – the UK exit from the European Union. UKIP also is extremely strong in its opposition to illegal immigration, amnesty, and refugee programs in the UK, and mirrors LIFA in many ways in its strongly-held legal immigration policies. LIFA looks forward to doing more with UKIP “across the pond” as both organizations partner together to promote legal immigration, oppose illegal immigration, stop amnesty, and halt terrorist-riddled refugee programs in the USA, the UK, and all across Europe! Order your “Illegal Immigration Statistics Card” from LIFA today! The “Illegal Immigration Statistics Card” includes a large variety of shocking statistics about the grave peril and economic disaster of illegal immigration in the USA! This card is a must for all members of all conservative political groups, tea party groups, Republican groups, church groups, and all other patriotic Americans who are gravely concerned about the scourge of illegal immigration in the USA! Order your card today! Simply make a donation of any amount online at www.GoLIFA.com and request your card! Better yet, order a large amount of cards to distribute to your family, friends, and fellow citizens concerned with illegal immigration in the USA! LIFA’s “Illegal Immigration Statistics Card” was a huge hit at CPAC and can be yours today for an online donation of any amount to LIFA! Donate and order online today!